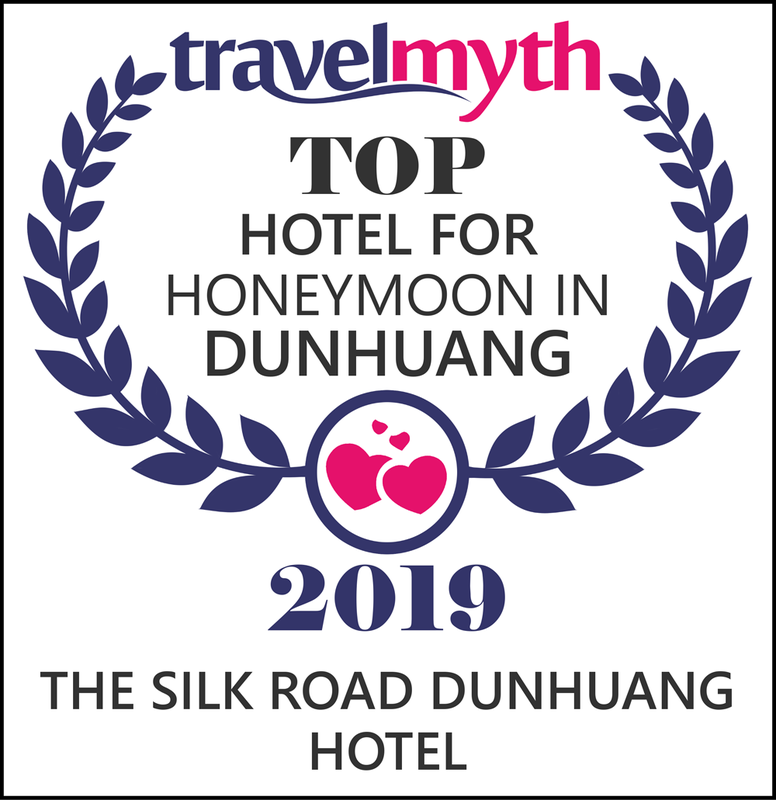 The Silk Road Dunhuang Hotel receives the highest score of reviews among four-star hotels in Dunhuang at Travelmyth. The Hotel is honoured to receive the recognition of quality service from travelers around the world. Travelmyth is a hotel recommendation engine for sophisticated travelers seeking unique holiday experiences. By using the new technology, it categorizes different hotels and provides more specific information to travelers and hence helps them to choose their ideal hotels. Situated at the foothill of the picturesque Mingsha Sand Dunes in Dunhuang, The Silk Road Dunhuang Hotel blends the traditional architectural style of the Tang Dynasty with the natural scenery of Gobi Desert. Equipped with modern facilities and restaurants that serve Chinese and western cuisines, the Hotel is an ideal place for travelers to explore and experience a unique living taste on the Silk Road. Standing out in the Gobi Desert for over two decades, The Silk Road Dunhuang Hotel has been devoting itself to providing the highest service quality. “All of us, including the hotel staff, are honoured to receive this accolade. We would like to take this opportunity to also thank our customers for their continuous support to our ‘Culture Hotel’ brand. We will continue to strive for the best and grow with the market in order to provide more customer-oriented services and unique cultural experience to our guests,” said May Lee, Corporate Communications Manager. Since its opening in 1995, The Silk Road Dunhuang Hotel has received many awards and accolades. It has also been a designated hotel for many government officials, diplomats, celebrities and meeting groups from multinational companies. For more hotel information, please click here.